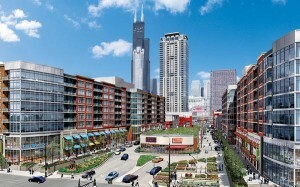 The South Loop has been recognized as one of Chicago’s most up-and-coming and globally unique neighborhoods. The area has done particularly well in tune with overall changes in lifestyle preference, as more and more people look to live closer to their place of work. Located just south of Chicago’s downtown business core, the South Loop has much to offer in the way of properties and modern housing. As Chicago’s fastest expanding neighborhood, living costs in the South Loop are high but reasonable compared to other high-end parts of the city. Units here are often attached and a one bedroom condo or loft could cost anywhere from $175,000 to $300,000+. Local stakeholders including investors, developers and city organizations are actively constructing new condominiums and townhomes as new retail establishments fill the area’s storefronts. Two bedroom units in the South Loop generally fall in the $400,000 range, but higher-end two bedroom units can easily reach the one million-dollar mark. Spacious three bedroom townhouses begin at around $500,000. Among the many aspects that make this neighborhood so attractive are some of Chicago’s most recognized tourist attractions. Visitors from around the globe congregate around the lakefront Museum Campus for a glimpse into the Shedd Aquarium, Adler Planetarium and Field Museum. The South Loop is also home to world renowned Grant Park, famous for its many summer festivals, concerts and other events including President Obama’s famous inauguration speech. During football season, the South Loop is overrun with diehard fans heading over to Soldier Field to watch the Chicago Bears play in the NFL. Those who live and work in the neighborhood also have an inside perspective into this Chicago neighborhood’s various upscale eateries including the Bongo Room which serves brunch day or night catering to shoppers frequenting the area’s various shoe and jewelry and stores and fashion boutiques. For those that enjoy long walks on warm summer nights, the South Loop offers easy access to the lakeshore and Chicago Harbor where pedestrians can catch some of the best views of the Windy City’s skyline. 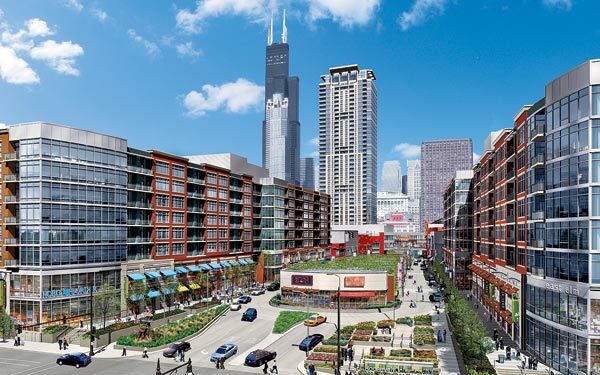 While the real estate prices dissuade the student community to reside in the South Loop, the area is dotted with universities and K-12 schools giving the area an added boost of vibrancy and diversity among those that frequent it.